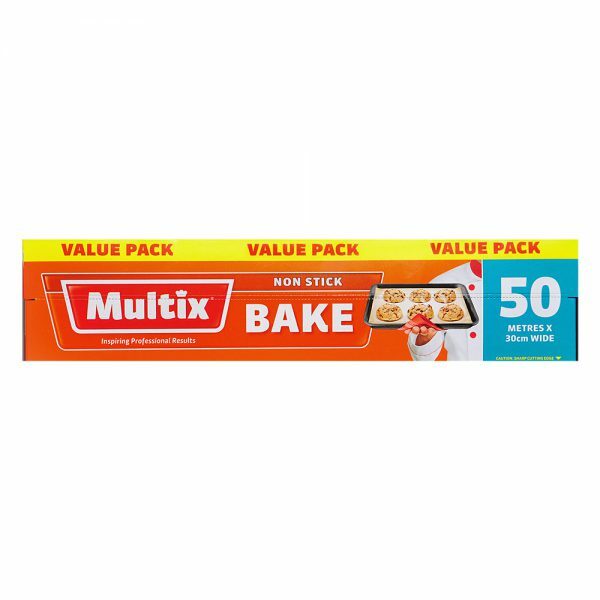 Multix Non Stick Bake. Size: 50m x 30cm wide. 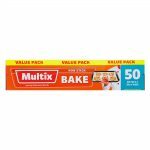 Multix Bake ensures a high performance non stick surface. Ideal for healthy fat free cooking with mess free baking and preparation. Made from quality European paper. Multix Bake is suitable for conventional and microwave ovens (heat resistant to 220°C/ 430°F). 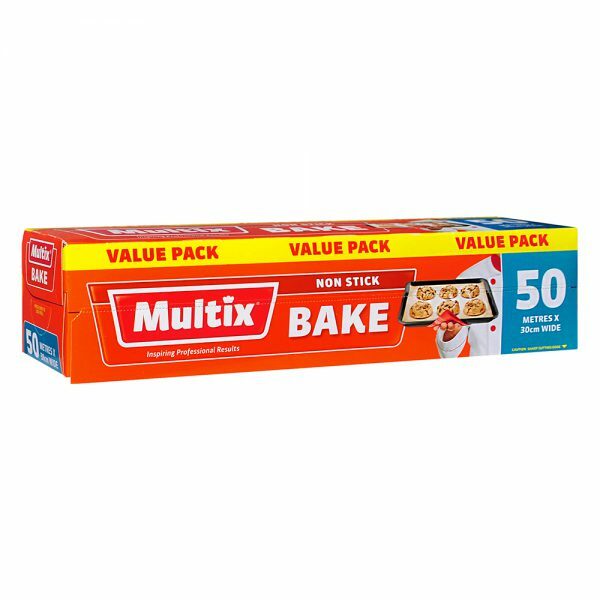 Multix Bake is perfect for rolling pastry dough and lining your trays or cake tins. 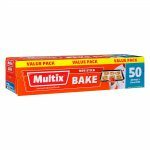 Multix Bake keeps parcels and baked dishes moist and flavoured by sealing in juices. Keep Multix Bake away from naked flames and heating elements.